Nicky Hager’s explosive new book has many levels. They include political intrigue – “how terrible some human beings can be” (referring to Cameron Slater, Jason Ede, Jordan Williams, Simon Lusk et al) as Andrew Geddis graphically describes in his Cri du Cœur; the “two-track” strategy of Mr Nice Guy out front and the ‘plausibly deniable’ personal attack politics out the back; and deliberate tactics to disgust the public sufficiently to put them off voting. But an essential strand is something right at the heart of science: the importance of evidence. Again it is at a number of levels. The current furious reaction is the most obvious. 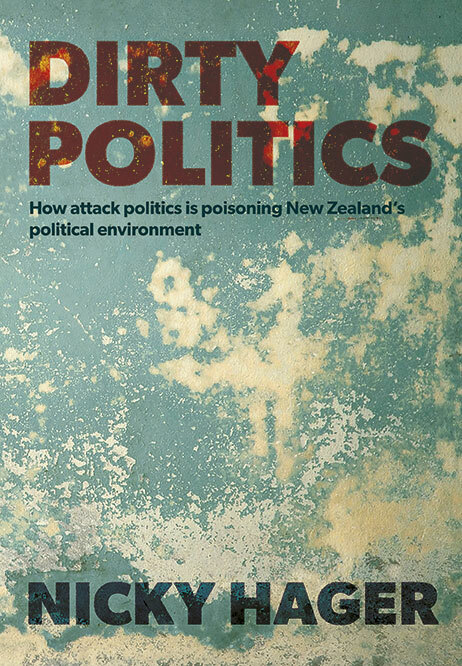 As one journalist described it, “John Key dismissed Hager, a respected and experienced investigative journalist, as a ‘Left-wing conspiracy theorist’ before he’d even picked up the book”. Another, normally conservative journalist, described this as a “tirade of insults, invective and scorn directed at Nicky Hager [which] must rank as one of the most sustained efforts by National to destroy an individual’s credibility since the party’s political witch trials of the Muldoon era”. He noted that Key (and Stephen Joyce in similar style) had repeatedly described the book as being “filled with ‘baseless allegations’ … when they know much if not all of it, is accurate, simply because the contents come straight out of the mouths of Slater, Ede and other National Party figures and associates”. This public fury is not a dispute as to the evidence but a refusal to admit that evidence exists. If they admitted it existed, then their job would be to bring evidence to refute it. The fact that they don’t, suggests that falsifying evidence does not exist. Even that word “refute” – “prove (a statement or theory) to be wrong or false; disprove” – is being debased to mean just “vehemently deny”. But there is a deeper attack on the use of evidence revealed in the book. Chapter 7, Cash for Comment, is about how one of the most important sources of ongoing funding for Slater and his Whale Oil blog is from the tobacco, alcohol and retail industries, including attacks on campaigners against obesity. They pay Slater publish pieces they have written as if he had written them himself. They are written in a similar style to him – deeply offensive, vitriolic personal attacks. Two of the funders are Katherine Rich for the Food and Grocery Council (and a former Cabinet Minister), and Carrick Graham, son of former Cabinet Minister Doug Graham, a former British American Tobacco employee now with his own company which acts on behalf of the tobacco industry among others. An example is an attack on Prof Doug Sellman, head of the National Addiction Centre, for speaking out on the heavy drinking culture in New Zealand and ‘excessive alcohol marketing’. One written by Graham but posted over Slater’s name began: “If there was ever a case of demonstrating once and for all that Professor Doug Sellman is mad, this article ‘Drunks steal sanitiser for alcohol’ proves it … any ounce of credibility that this guy once had has long-since evaporated.” It gets much worse, as do the comments that Graham then posted under other pseudonyms, commenting on his own posts. These paid-for personalised attacks are aimed not only at the person but at evidence-based policy making itself. Chapter 8, Chaos and Mayhem Ltd (Slater and his associates’ own name for their activities) continues some of the themes of Chapter 7, but includes the Ports of Auckland industrial dispute, including the leaks from within Ports of Auckland Ltd and their relationship with Slater, and the campaign against the organisation Building Services Contractors of New Zealand. The BSC worked with unions to ensure government contracts gave low-paid cleaning workers decent conditions. The Government recently stopped this arrangement, leaving cleaning companies free to force down conditions. The campaign on the Whale Oil site was a personalised attack against the BSC’s national president, Patrick Lee-Lo and on the organisation itself in order to soften it up for the coming attack on the government contracting arrangement. It was almost certainly financed by Grant McLauchlan of Crest Commercial Cleaning, according to Hager. This is the same company that campaigned to repeal s.6A of the Employment Relations Act which also protects cleaning workers and other vulnerable workers from the worst effects of the frequent changes in cleaning contracts in the industry. Again, says Hager, Graham wrote posts for Slater to pass off as Slater’s own, and both Graham and McLauchlan then weighed in writing even more abusive comments in support of the posts Graham had given Slater. On health, there is further material on opposing anti-obesity campaigns, and an offer from a US spin-doctoring firm to pay someone to put their name to an opinion piece it would write opposing tobacco being excluded from protection by the Transpacific Partnership Agreement (TPPA) currently under negotiation. Excluding tobacco would mean tobacco companies could not sue governments over their anti-tobacco campaigns as Philip Morris is currently doing against Australia. These are concerted attacks on the use of evidence in matters of public importance. There is much more in this important book, which is short (138 pages plus notes and index), well written and available in both printed and electronic form. 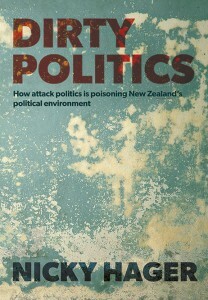 If you want to understand how policy making and politics are increasingly conducted in New Zealand, you should read it – and then work to reclaim decency and respect for evidence. Dr Bill Rosenberg is Director of Policy and Chief Economist, at the New Zealand Council of Trade Unions and has published widely on globalisation, trade and learning. He was previously Deputy Director, University Centre for Teaching and Learning at the University of Canterbury, a Member of the Institute of Directors, a Commissioner on TEC, and was a member of the Regional Land Transport Committee of Environment Canterbury. I’ll bite! It is true at least that variously addicted people do steal hand sanitisers from hospitals, which I know some people found hard to believe, but I think, with respect, that this is a facile argument in response to a serious health and social issue. I don’t think there is any lack of evidence in the key role advertising plays in contributing to/establishing/reinforcing cultural contexts around alcohol or any other commodity and this is the point Sellman is surely making in pointing to an extreme example of the increasing incidence of abnormal behaviour and harm that could be mitigated by taking a few simple steps to regulate the advertising and sales of alcohol to young people in particular. And it is hardly surprising that Sellman, or indeed numerous other health practitioners and public health and social service organisations, is a strong advocate for alcohol control – the evidence he, and they, see and experience is first hand. Putting science back into science blogs. Reminds me of the dirty politics going on in science. Particularly energy science. It has to be the most corrupted part of science around. Including theory which inhibits progression and straight out denial and media blackout of real science. Yes Cold Fusion. Dirty politics coverup and conspiracy all real see Cold fusion history for information. Cold Fusion is real and is the solution to our problems. We are smart enough to learn how to live sustainably, and there have been advancements and developments by the scientific community to do so. However, there is no money to made with sustainability. No way to exploit the masses if they have cheap sustainable energy, services, and products. Yes, Nicky Hager revealed some interesting stuff, and yes, it is very, very worrying how campaigns were run via Slater’s “Whaleoil” blog to discredit not only political opponents of the present government, but also scientists and science. Discrediting evidence is as bad as misusing or manipulating information to present it as supposed “evidence” to prove something in the name of science. It may be done by conducting selective research. What has been worrying me very much is, how the government appears to have relied primarily on supposed “evidence” from just one major source, being one Professor Mansel Aylward (and some colleagues), who were “sponsored” by a leading health and disability insurance corporation called UNUM, to conduct certain “research” at the ‘Centre for Psychosocial and Disability Research’ at Cardiff University in Wales. The research reports by Aylward, Waddell et al alleged that most of the disability that sick, injured and impaired suffered, was merely based on “illness belief”, and that paid work on the open job market was deemed to be “therapeutic” and “good for people’s health”. The sponsoring UNUM Provident company was part of the larger UNUM corporation, whose US branch was convicted for fraudulent practices in medical assessments and insurance claims handling. This is stuff Aylward and his supporters love to forget and disassociate themselves from, but in the UK much debate was caused by the former Department of Work and Pension Chief Medical Officer Aylward and his links to UNUM There was concern about ulterior motives, to simply redesign medical assessments with the intention to declare sick, injured and disabled as somehow “fit” to do some work, so the government could save more costs. Here in NZ the government followed the UK approaches, and Social Development Minister Paula Bennett relied heavily on the UK “expert” advice given by Aylward et al, to formulate and implement their welfare reforms, particularly for dealing with those on health based benefits. Similar reforms in the UK led to self harm, suicides and early deaths of people wrongly assessed and pressured into looking for jobs. Sadly in NZ the media have not bothered investigating and examining what MSD and WINZ have been doing following Aylward’s recommendations. With ‘Dirty Politics’ showing us what the tobacco and alcohol industries did to twist facts and the truth, perhaps it is also time to look more closely at the “science” that was used by government to justify its welfare reforms?